Having visited many of the islands of Spain over my years of travel, I finally had the chance to visit the mainland for the first time. Madrid is a city that’s long been on my bucket list, a cultural and historical hub for Spanish culture and an empire that once spanned much of the world. Madrid is a city that’s always intrigued me and now it was time to explore as much as possible with help of a few select museums and tours. As part of the #MustSeeMadrid campaign by the Spanish Tourist Board I was given the chance to visit 5 of Madrid’s top museums to get a better understanding of the history, culture and creativity of Spain and this most Spanish of cities.While there are of course many other museums in Madrid worth visiting, the following 5 are a great cross section of art, history and culture that give an insight in to why Madrid should be your first destination on mainland Spain. 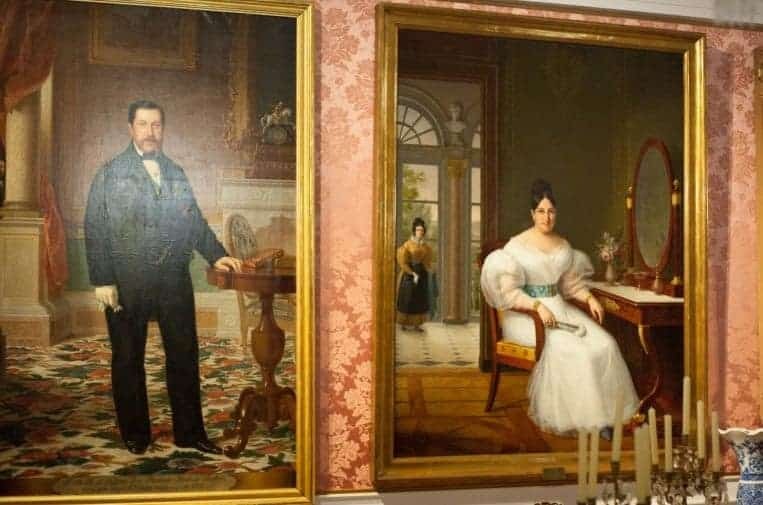 First on our list of must see museums is the rather palatial residence of Lázaro Galdiano who was an avid collector of numerous artistic mediums in the early 20th century. His home was once out in the suburbs of Madrid but has since been swallowed up by the urban expanse. With the help of his wife, his collection of elaborate objects, paintings and manuscripts is quite sizeable and on his death the entire collection was left to the city for us all to enjoy. The entrance is in fact the lower floor beneath the residence, with four floors to explore containing over 4,000 items from the collection. The building is as much an item of the collection as the objects within it. 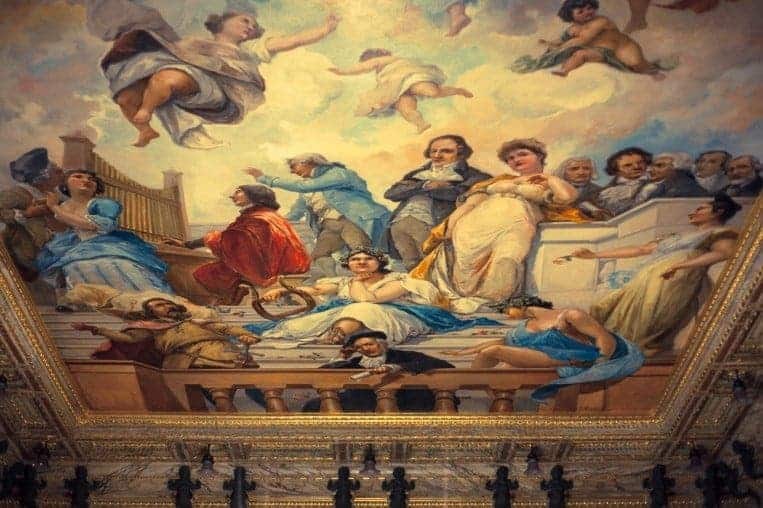 In fact some rooms are so grand and opulent the paintings and sculptures that reside in them seem quite tame and underwhelming when compared to the walls and especially the ceilings. The house had been extensively remodelled when it opened as a museum in 1951 and has since seen more changes in the 21st century to open it up to the public even further. There are a number of modern temporary art installations here too which I always find quite jarring when surrounded by more classical artwork. Never-the-less the museum had such a variety in its collection that there is something to interest every age and preference. 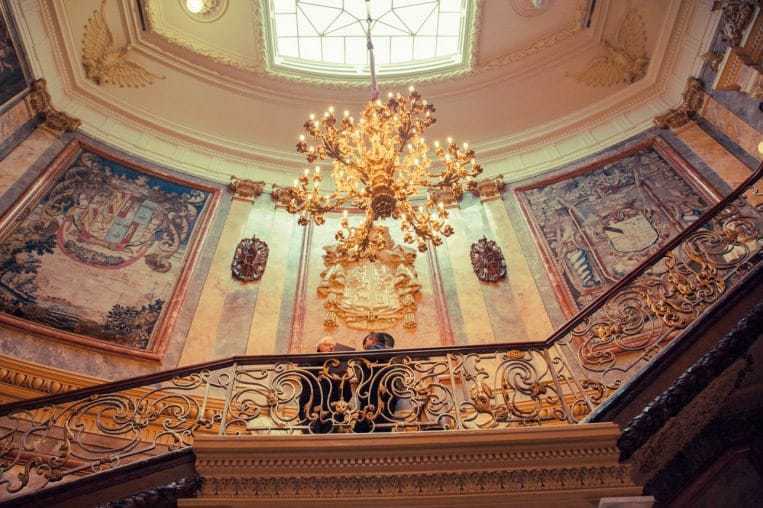 Indeed the story of how the collection came to be and its lasting legacy, coupled with the opulence of the building’s interior make this museum a must visit. Next on our grand tour of Madrid’s museums was one of my favourites. The home of one of Spain’s most famous artists and a surprisingly tranquil setting considering the urban sprawl that surrounds the building. Joaquin Sorolla was born in Valencia in 1863 and spent many years in Rome and Paris before settling in Madrid for much of his life. There’s a very clear Valencian style to both his paintings and his home, with bright, feature filled gardens rich with flowers, ponds and orange trees too. He fathered 3 children between 1890 and 1895 which were often the subjects of his paintings. His wife Clotilde García del Castillo features in many of his works and his house is as much a studio as it is a home. My favourite room being his workshop bathed in soft sunlight from a large north facing window and sunlights in the roof. The space feels like somewhere to be productive and now has many of his paintings adorning the walls. 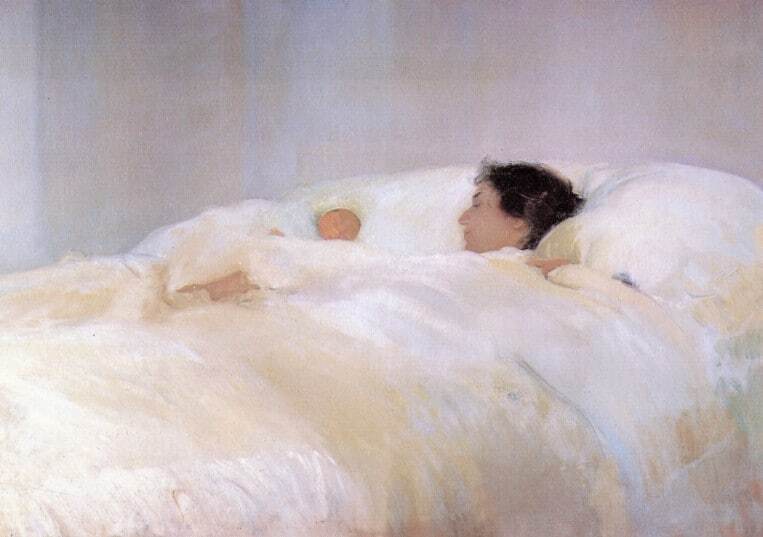 My favourite painting from his many works is “Mother” a very simple image of a mother and her newborn baby laying in bed. It features his wife Clotilde and his youngest daughter Elena. The piece resonates with me being a new father and its one of my happiest visions of my wife and daughter. Sorolla’s ability to turn a seemingly simple scene in to a bright and beautiful celebration of an intrinsic emotion is what really captivated me. Many of his paintings feel like a dedication to those he loves. What better subject matter than the subjects you hold most dear. The museum is open from Tuesday to Saturday, 9:30am to 8pm and Sunday from 10am to 3pm. It can be found at General Martinez Campos, 37 28010, Madrid and the entrance fee is just €3 during the week and totally free on Sundays. For a preview of the museum I recommend checking out this virtual tour of both inside and out of this beautiful home and gallery. On our second day in Madrid we started off with a brisk walk over to the Museo de Artes Decorativas aka the National Museum of Decorative Arts. Museums of the decorative arts always intrigue me as you never know quite what you’re going to get. It covers such a broad range of styles, periods and objects. The collection here is positively brimming with all manner of pieces, over 40,000 in total. While the previous two museums had in some way contained decorative arts, this museum is a whole other level. Some impressive displays categorising pieces either by style, usually 16th and 17th century, or occasionally along a theme be it type of furniture, origin of pieces or cultural legacy. One impressive room was the Cucina (Kitchen) from the 8th century. With it’s many painted tiles this is quite unlike any kitchen I’ve seen before. The entire interior was moved to the museum from a mansion in Valencia and contains over 1,500 tiles that depict life in 8th century Spain. You can take a virtual tour of it here. There are 5 floors to explore here so you’ll need at least half a day if not more. Be sure to start at the top and work your way down through the many rooms. The museum is open from Tuesday to Saturday, 9:40am to 3pm and Sunday 10am to 3pm. You’ll find it at Montalbán, 12 28014, Madrid and entrance is just €2.40. It’s also free if you have a “Madrid Card” and also free on Sundays too. Its a fascinating and huge collection of such a wide range of items that you’re sure to enjoy its eclectic displays. This was definitely my favourite museum and a popular choice with locals too, reminding me somewhat of the Brighton Pavilion in England for its over-the-top interior decor and pure opulence for the sake of showing off. Built in 1893 for the Marquis of Cerralbo, Enrique de Aguilera y Gamboa in what was once the most noble and fashionable of areas in the city. While this was a residential home in his later years, it was really designed to be a party palace and collector’s museum. 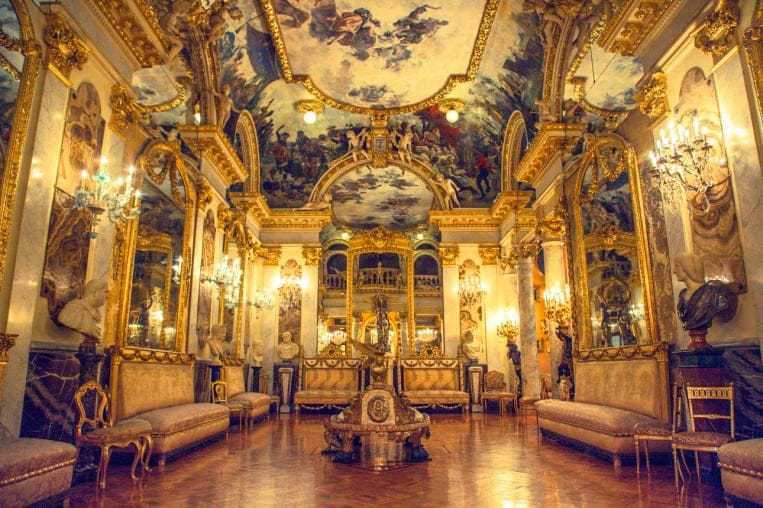 A place for extravagant balls, impressive collections of art from all over the world and a real feast for the eyes in every room. There are many rooms to explore here over two floors with a grand staircase at the start of your exploration. The “Main floor” upstairs houses some of the finest collections you’ll see in Madrid and what fascinated me was that almost all of the items on display are arranged as the Marquis of Cerralbo intended, a window in to the style of antiquities and archeology that had become fashionable in the early late 19th century and early 20th. The Armoury is impressive with all manner of spears and weapons from around the world. The banquet and billiard rooms are a fantastically lavish affair but the finest rooms are by far the Galleries and Ballroom. The latter being quite eye watering in its opulence. 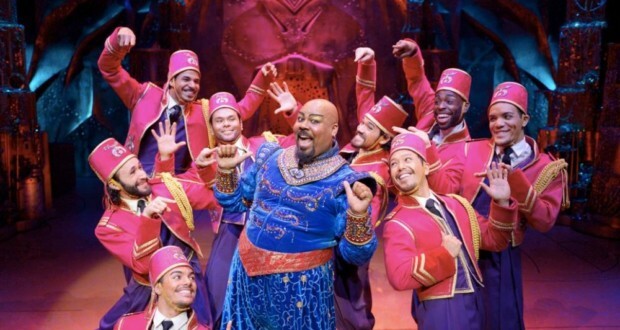 A window-less venue that is clearly the centrepiece of the palace. Two large Native American statues guard the entrance at one end with a loop of galleries leading off from the other. There’s something about the intense decadence of this period that really captivates me, its inability to leave anything with simple lines and plain colours, there isn’t a centimetre of wall or ceiling, ornament or item of furniture that isn’t brashly screaming its superior status. The museum is open from Tuesday to Saturday, 9:30am – 3pm, Thursdays 5pm – 8pm and Sundays 10am – 3pm. You’ll find the museum at Ventura Rodríguez, 17 28008 Madrid, Spain and costs just €2.40. It’s also free on Wednesdays and Sundays as well as a number of national holidays. Definitely a highlight of mine during my trip to Madrid and I highly recommend visiting. 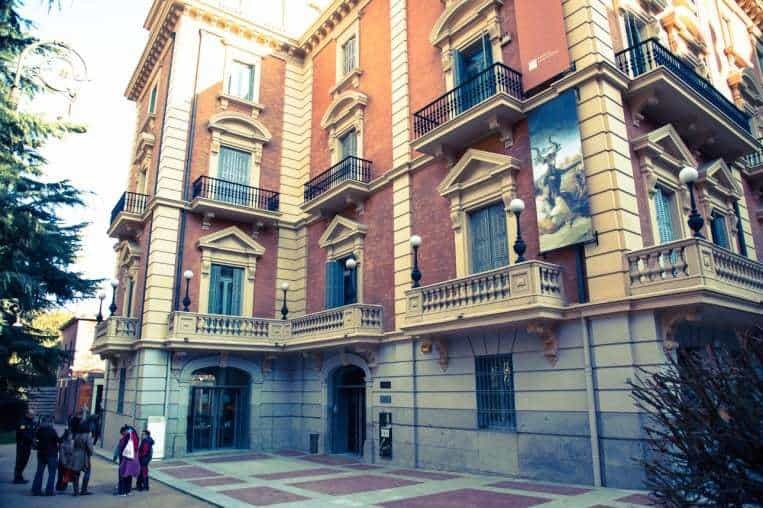 Last on our grand museum tour of Madrid was the Museum of Romanticism which was founded by Benigno de la Vega-Inclá, a Military man as well as artist, intrepid explorer and most importantly a dedicated patron of Spanish art. The Museo del Romanticismo was just one of his many achievements to art and tourism in Spain. The building was built in 1776 and was once the house of Count de la Puebla Maestrein the mid 19th century. In June of 1921 the house was the residence of the Commissioner of Tourism, a post created by Vega-Inclán and the museum opened to the public in 1924. The museum celebrates the Spanish Romance period which is a rather broad term in artistic language. Romanticism covers any bold, surreal or whimsical approach to a subject, most notably in paintings. 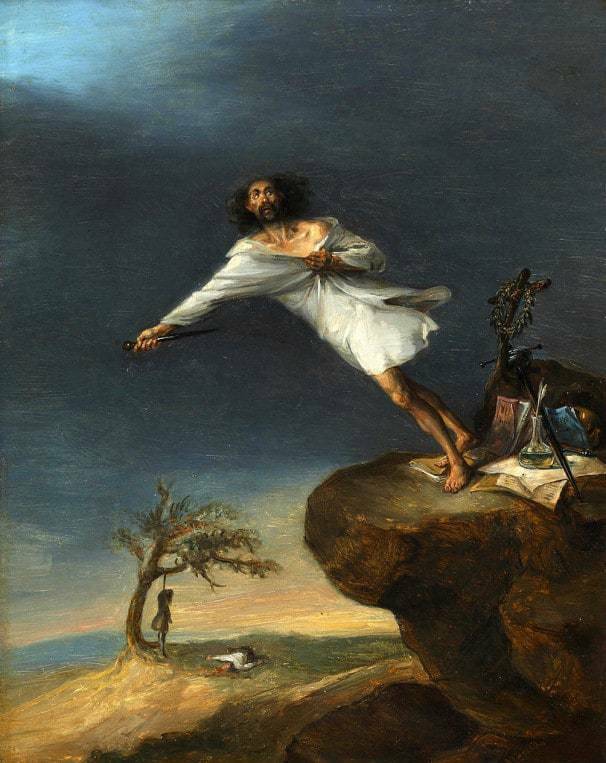 There are some fantastic pieces in this museum and one which caught our eye is definitely the “Satire of romantic suicide” by Leonardo Alenza dating from 1839. A rather comedic take on the increasing fashion for Romanticism and the final climax being suicide. The painting’s small dimensions are somewhat enlarged by its bold imagery and dramatic and rather novelty depiction. There are a number of fantastic portraits here too with almost theatrical like quality to their lighting and strokes. 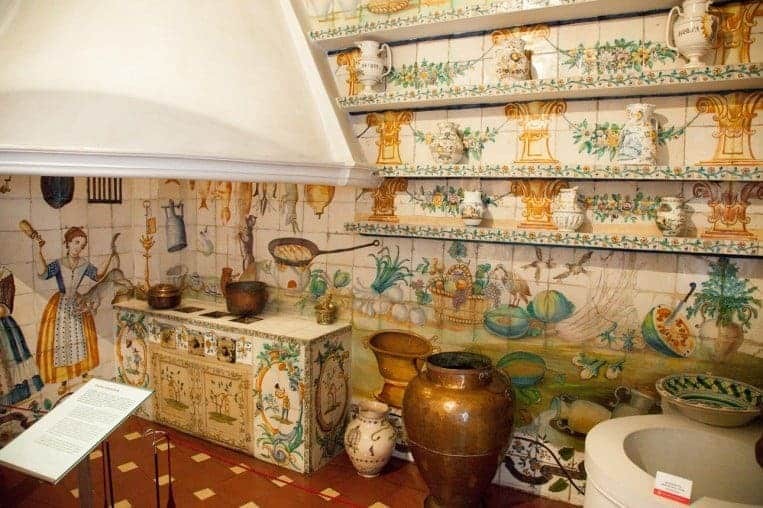 The rooms in The Museo del Romanticismo are small and intimate which help get you up close to the works of art. There’s also some wonderful period furniture here and no end to the number of beautiful chairs that you can look at but unfortunately not rest your weary feet by. The museum tour ends with a room filled with further Spanish Romance works in easy to view hinged frames as well as computers containing the full catalog of their collection. There’s also a wonderful dolls house with impressive holographic video showing daily scenes in a number of rooms. 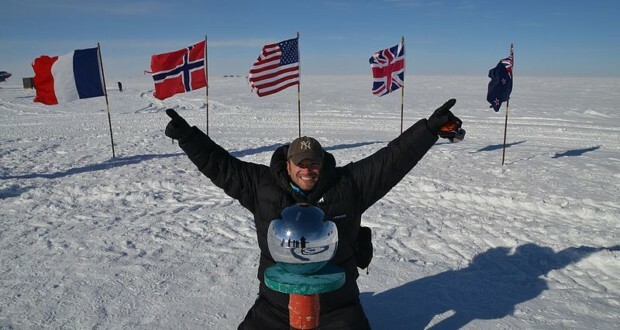 An ingenious way to entertain and educate. The museum is open from Tuesday to Saturday, 9:30am – 6:30pm and Sundays from 10am – 3pm during the winter. In the summer months the museum is open until 8pm. You can find the museum at San Mateo, 13 28004 Madrid and admission is just €3. As with many museums in Madrid there are free times and at this museum you’ll get free entry after 2pm on Saturdays and all of Sunday. 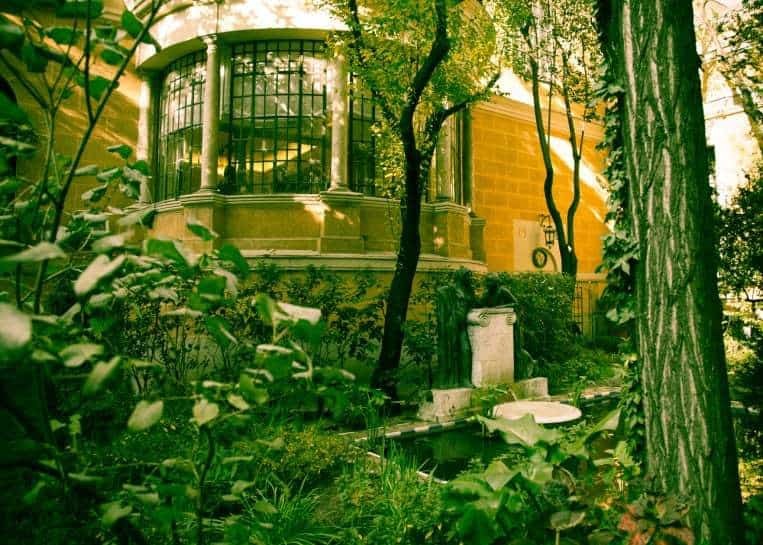 With just a short taste of what Madrid has to offer these 5 museums gave us a great cross section of the arts, collectors and those that called Madrid home. Access to the collections is fantastic and in every sense the buildings are as much an intrigue as the items within them. Its great to see so many have free access at certain times of the week too and all had temporary exhibitions to keep them fresh and interesting. A big thank you to the Spanish Tourist Board for organising the trip and showing us around some of Madrid’s best museums. You can find out more about Spain at their website spain.info and follow them on twitter for the latest travel advice @Spain_inUK and @Spain.